1. Lo, C.H., Onstott, T.C. and Wang Lee, C.M (1993) 40Ar/39Ar dating of plutonic/metamorphic rocks from Chinmen Island off Southeast China and its tectonic implications. Jour. Geol. Soc. China 36, 35-55. 2. Yui, T.F., Rumble, D., III, and Lo, C.H. (1995) Unusually low 18O ultra-high-pressure metamorphic rocks from the Sulu Terrain, eastern China. Geochim. et Cosmochim. Acta 59, 2859-2864. 3. Li, S., Jagoutz, E., Zhang, Z., Chen, W. and Lo, C.H. (1995) Structure of high-pressure metamorphic belt in Dabie Mountains and its tectonic implications. Chinese Sci. Bull., 40 (Supplement): 139-140. 4. Yui, T.F., Rumble III, D., Chen, C.H. and Lo, C.H. (1997) Stable isotope characteristics of eclogites from the ultra-high-pressure metamorphic terrain, east-central China. Chemical Geology 137, 135-147. 5. Chung, S.-L., Lee, T.-Y., Lo, C.H., Wang, P.-L., Chen, C.-Y., Yem, N.T., Hoa, T.T., and Genyao, W. (1997) Intraplate extension prior to continental extrusion along the Ailao Shan-Red River shear zone. Geology 25, 311-314. 6. Yang, H.-C., Chen, W.-S., Lo, C.H., Chen, C.H., Huang, H., Wang, X. and Lee, C.W. (1997) 40Ar/39Ar thermochronology of granitoids from the Pingtan-Dongshan Metamorphic Belt and its tectonic implications. Jour. Geol. Soc. China 40, 559-586. 7. Tien, J.-L., Chen, C.-H., Lo, C.H. and Lai, Y.S. (1997) Contrasting cooling rates of coeval granitic plutons in the Zhangzhou Igneous Complex, SE China: evidences from 40Ar/39Ar thermochronology and Al-amphibole geobarometer. Jour. Geol. Soc. China 40, 607-624. 8. Lee, T.-Y., Lo, C.-H., Chung, S.L., Wang P.L., Cung, T.C., Hoang, N., Chen, C.Y., Lin, W.P., and Yem, N.T. (1998) 40Ar/39Ar Dating Result of Neogene Basalts in Vietnam and its Tectonic Implication. In M. Flower, et al. (eds.) "Mantle Dynamics and Plate Interactions in East Asia", AGU Geodynamic Series vol. 27, 317-330. 9.Chung, S.L., Lo, C.H, Lee, T.Y., Zhang, Y., Xie, X., Li, X., Wang, K.-L. and Wang, P.-L. (1998) Diachronous uplift of the Tibetan plateau staring 40 Myr ago. Nature 394, 723-725. 10. Yang, H.-C., Chen, W.-S., Lo, C.H., Chen, C.-H., Huang, H., Wang, X. and Lee, C.W. (1998) Role of the Nanjih Fault on the exhumation of the Pingtan-Dongshan Metamorphic Belt, SE China. Jour. Geol. Soc. China 41, 409-440. 11. Wang, P.-L., Lo, C.H., Lee, T.Y., Chung, S.L., Lan, C.Y. and Yem, N.T. (1998) Thermochronological evidence for movement of the Ailao Shan - Red River shear zone: a perspective from Vietnam. Geology 26, 887-890. 12. Li, S., Chen, Y., Emil, J., Zhang, Z., Chen, W. and Lo, C. H. (1998) Geochemical and geochronological constraints on the tectonic outline of the Dabie Mountains, Central China: a continent-microcontinent-continent collision model. Continental Dynamics 3, 14-31. 13. Jahn, B.M., Wu, F., Lo, C.H. 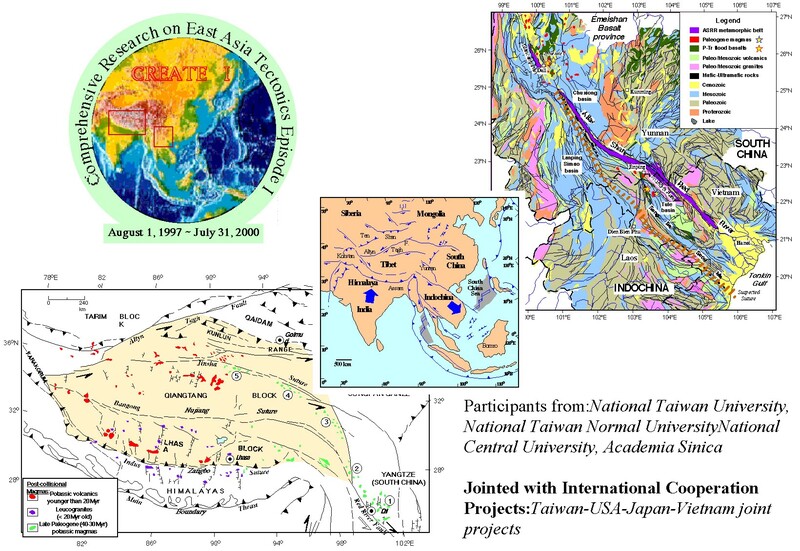 and Tsai, C.-H. (1999) Crust-mantle interaction induced by deep subduction of the continental crust: geochemical and Sr-Nd isotopic evidence from post-collisional mafic-ultramafic intrusions of the Northern Dabie Complex, central China. Chemical Geology, 157, 119-146. 14. Liou, Y.-S., Lo, C.-H., Tsai, C.-H., Wang, P.-L. and Chen, C.-H. (1999) Thermochronolgical study of the Dabie Shan ultrahigh-pressure metamorphic terrane, east central China. Jour. Geol. Soc. China 42, 159-188. 15. Yang, T.F., Wang, J.-R., Lo, C.H., Chung, S.-L., Tien, R.-L., Xu, R., and Deng, W. (1999) The thermal history of the Lhasa block, south Tibetan Plateau based on FTD and Ar-Ar dating. Radiation Measurements 31, 627-632. 16. Lu, H.-Y., Tien, J.-L., Lo, C.-H. and Chen, C.H. (1999) Thermal modeling and chronological constraints of granitic plutonism in Zhangzhou igenous complex, SE China. Jour. Geol. Soc. China 42, 493-520. 17. Li, S., Jagoutz, E., Lo, C.-H., Chen, Y., Li, Q., and Xiao, Y. (1999) Sm-Nd, Rb-Sr and 40Ar-39Ar Isotopic Systematics of the Ultrahigh Pressure Metamorphic Rocks in the Dabie-Sulu Belt, Central China: A Retrospective View. International Geology Review 41, 1114-1124. 18. Liou, Y.S., Lo, C.H., Tsai, C.-H., Chung, S.-L., Qiu, J. and Li, X. (1999) 40Ar/39Ar geochronology of volcanic and intrusive rocks in the Dabie and Sulu terranes, Eastern China, and their tectonic implications. Journal Geol. Soc. China 42, 521-542. 19. Lo, C.-H. and Knittel, U. (2000) Lithosphere Dynamics and Natural Resources in East Indochina and adjacent areas – preface. Journal of Asian Earth Sciences 18, 253-253. 20. Lan, C.-Y., Chung, S.-L., Shen, J. J., Lo, C.-H., Wang, P.-L., Hoa, T. T., Thanh, H. H. and Mertzman, S.A. (2000) Geochemical and Sr-Nd isotopic characteristics of granitic rocks from northern Vietnam. Jour. Asian Earth Sciences 18, 71-84. 21. Wang, P.-L., Lo, C.-H., Chung, S.-L., Lee, T.-Y., Lan, C.-Y. and Yem, N. T. (2000) Onset of the movement along the Ailao Shan – Red River Shear Zone: evidence from 40Ar/39Ar thermochronogical data. Jour. Asian Earth Sciences 18, 85-96. 22. Wang, K.L., C.H. Chen, S.L. Chung, C.H. Lo, L.H. Lin, T.F. Yang and H.Y. Lee (2000) Field occurrence, Ar-Ar dating and petrochemical features of volcanic successions in the Mienhuayu off NE Taiwan. Jour. Geol. Soc. China 43, 247-266. 23. Li, S., Jagoutz, E., Lo, C.-H., Chen, Y., Li, Q., and Xiao, Y. (2000) Sm-Nd, Rb-Sr and 40Ar-39Ar Isotopic Systematics of the Ultrahigh Pressure Metamorphic Rocks in the Dabie-Sulu Belt, Central China: A Retrospective View. In W.G. Ernst and J. G. Liou (eds.) Ultra-High Pressure Metamorphism and Geodynamics In Collision-Type Orogenic Belts . Bellwether Publishing Ltd. 234-244. 24. Tsai, C.-H., Lo, C.-H., Liou, J.-G. and Jahn, B.-m. (2000) Evidence against subduction related magmatism for the Jiaoziyan Gabbro, Northern Dabie Shan, China. Geology 28, 943-946. 25. Qiu, J., Lo, C.-H., Zhou, J., McInnes, B.A. (2000) Potash-rich magmatism and associated gold-copper mineralization in the Yishu deep fault zone and its vicinity, eastern China. Resource Geology 50, 269-280. 26. 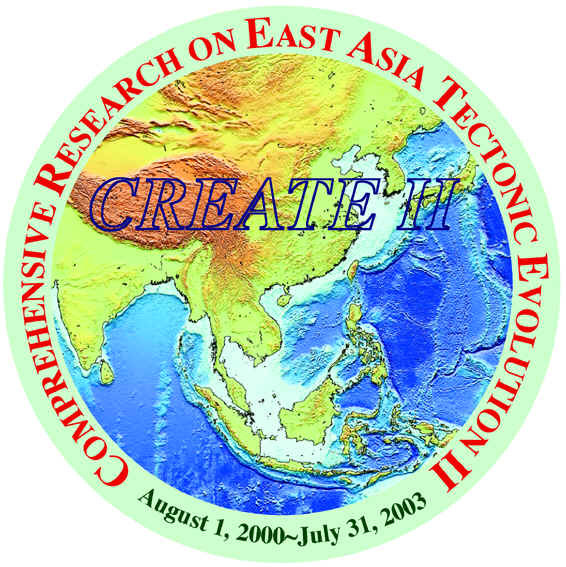 Lan, C.-Y., Chung, S.-L., Lo, C.-H., Lee, T.-Y., Wang, P.-L., Li, H. and Toan, D. V. (2001) First evidence for Archean continental crust in northern Vietnam and its implications for crustal and tectonic evolution in Southeast Asia. Geology 29, 219-222. 27. Lo, C.-H., Chung, S.-L., Lan, C.-Y., Lee, T.-Y., Li, H.-M., Nam, T. and Sano, Y. (2001) Evidence for Archean continental crust in northern Vietnam and its implications for tectonic evolution in SE Asia. Gondwana Research vol. 4, No.4, p. 691. 28. Wang, P.-L., Lo, C.-H., Chung, S.-L., Lee, T.-Y., Lan, C.-Y. and Thang, T.V. (2001) Reply to the comment by Leloup et al. on “Onset timing of the left-lateral movement along the Ailao Shan-Red River Shear Zone: 40Ar/39Ar dating constraint from the Nam Dinh Area, northeastern Vietnam”. Jour. Asian Earth Sci. 20, 101-103. 29. Qiu J., Wang D., Lo C.-H. and Liu H. (2001) 40Ar-39Ar Dating for volcanic rocks of Qingshan Formation in Jiaolai basin, eastern Shandong province: A case study of the Fenlingshan volcanic apparatus in Wulian County. Geological Journal of China Universities 7(3):351-355. (in Chinese with English abstract). 30. Qiu J., X u, X., Lo, C.-H. (2001) Potash-rich volcanic rocks and lamprophyres in western Shandong Province: 40Ar-39Ar dating and source tracing. Chinese Science Bulletin 46(18):1500-1508 (in Chinese with English abstract). 30. Qiu J., X u, X., Lo, C.-H. (2002) Potash-rich volcanic rocks and lamprophyres in western Shandong Province: 40Ar-39Ar dating and source tracing. Chinese Science Bulletin 46(18), 1500-1508 (in Chinese with English abstract). (English version is published in Chinese Science Bulletin 47(2), 91-99). 31. Chen, W.-M., Huang, Y.-C., Iizuka, Y., Lo, C.-H., Wu, H., Song, S., Yang, J., Xu, Z. and Yang, H.-Y. (2002) Integrated P-T paths of high-pressure rocks and their tectonic implications for the Mountain-building of the North Qilian, China. Acta Geologica Sinica, 76, 44-62. 32. Liu H., Qiu, J., Lo, C.-H., Xu, X., Ling, W. and Wang, D. (2002) Petrogenesis of the Mesozoic potash-rich volcanic rocks in the Luzong basin, Anhui Province: geochemical constraints. Geochimica 31(2), 129-140. (in Chinese with English abstract). 33. Zhang, R.Y., Shua, Y.-H., Liou, J.G. and Lo, C.H. (2002) Discovery of clinoenstatite in garnet pyroxenites from the Dabie-Sulu ultrahigh-pressure terrane, east-central China. Amer. Mineral. 87, 867-874. 34. Li, X.-H., Zhou, H.-W., Chung, S.-L., Lo, C.-H., Wei, G.-J., Liu, Y. and Lee, C.-Y. (2002) Geochemical and Sr-Nd isotopic characteristics of Late Paleogene ultrapotassic magmatism in southeastern Tibet. International Geology Review 44, 559-574. 35. Lee, H.-Y., Chung, S.-L., Wang, J.-R., Wen, D.-J., Zhang, Y., Xie, Y., Lo, C.-H., Yang, T. F., Lee, T.-Y., Wu, G. and Ji, J. (2003) Miocene Jiali Faulting and its implications for Tibetan tectonic evolution. Earth Planet. Sci. Lett. 205, 185-194. 36. Wu, F.Y., Jahn, B.M., Wilde, S.A., Lo, C.H., Yui, T.Z., Lin, Q., Ge, W.C. and Sun, D.Y. (2003) Highly fractionated I-type granites in NE China: geochronology and petrogenesis. Lithos 66, 241-273. 37. Ho, K.-S., Chen, J.-C., Lo, C.-H. and Zhao, H.-L. (2003) 40Ar-39Ar dating and geochemical characteristics of late Cenozoic basaltic rocks from the Zhejian-Fujian region, SE China: eruption ages, magma evolution and petrogenesis. Chem. Geol. 197, 287-318. 38. Lan, C.Y., Chung, S.L., Long, T.V., Lo, C.H., Lee, T.Y. and Merztman, S.A. (2003) Geochemical and Sr-Nd isotopic constraints from the Kontum Massif, Central Vietnam for the crustal evolution of the Indochina Block. Precambrian Research 122 (1-4), 7-27. 39. Chung, S.-L., Liu, D., Ji, J., Chu, M.-F., Lee, H.-Y., Wen, D.-J., Lo, C.-H., Lee, T.-Y., Qian, Q. and Zhang, Q. (2003) Adakites from continental collision zones: Melting of thickened lower crust beneath southern Tibet. Geology 11, 1021-1024. 40. Chung, S.-L., Lo, C.-H. and Lee, T.-Y. (2003) Petrologic case for Eocene slab breakoff during the Indo-Asian collision: Comment. Geology v. 31, p.e7. 41. Ali, J.R., Lo, C.-H., Thompson, G.M. and Song, X. (2004) Emeishan Basalt Ar-Ar overprint age-clusters define several tectonic events that affected the western Yangtze platform in the Meso- and Cenozoic. Jour. Asian Earth Sciences 23, 163-178. 42. Yang, J.-H., Wu, F.-Y., Lo, C.-H., Chung, S.-L., Zhang, Y.-B. and Wilde, S. A. (2004) Deformation age of Jurassic granites in the Dandong area, eastern China: Ar-40/Ar-39 geochronological constraints. ACTA PETROLOGICA SINICA 20 (5): 1205-1214. 43. Wang, F., Lo, C.-H., Li, Q., Wan, J., Zheng, D., Li, D. and Wang, E. (2004) Onset timing of significant unroofing around Qaidam basin, northern Tibet, China: Constraints from 40Ar/39Ar and FT thermochronology on granitoids. Jour. Asian Earth Sciences 24, 59-69. 44. Li, X.-H., Chung, S.-L., Zhou, H.-W., Lo, C.-H., Liu, Y. and Chen, C.-H. (2004) Jurassic intraplate magmatism in southern Hunan – eastern Guangxi: 40Ar-39Ar dating, geochemistry, Sr-Nd isotopes and implications for tectonic evolution of SE China. In “J. Malpas et al. (eds.) Aspects of the tectonics evolution of China”. Geol. Soc. London Special Publication no. 226. 193-216. 45. Yang, J.-H., Chung, S.-L., Wildes, S.A., Wu, F.-Y., Chu, M.-F., Lo, C.-H. and Fan, H.-R. (2005) Petrogenesis of post-orogenic syenites and crustal growth in the Sulu orogenic belt, East China: Geochronological, geochemical and Nd-Sr isotopic evidence. Chem. Geol. 214, 99-125. 46. Chung, S.-L., Chu, M.-F., Zhang, T.-Q., Xie, Y.-W., Lo, C.-H., Lee, T.-Y., Lan, C.-Y., Li, X.-H., Zhang, Q., and Wang, Y.-Z. (2005) Tibetan plateau evolution inferred from spatial and temporal variations in post-collisional magmatism. Earth Sci. Rev. 68, 173-196. 47. Lin, L.-H., Wang, P.-L., Lo, C.-H., Tsai, C.-H. and Jahn, B.-m. (2005) 40Ar-39Ar thermochronological constraints on the exhumation of ultrahigh-pressure metamorphic rocks in the Sulu terrane, eastern China. International Geological Review 47, 872-886. 48. Qiu JS, Jiang SY, Wang RC and Lo, C.-H. (2005) Petrology and geochemistry of shoshonitic volcanic rocks from Luzong in the Lower Yangtze region, eastern China: Petrogenesis and inferences on the nature of the mantle sources. GEOCHIMICA ET COSMOCHIMICA ACTA 69 (10): A646-A646. 49. Wu HH, Tsai YB, Lee TY, Lo, C.H., Hsieh, C.H. and Van Toan, D. (2005) 3-D shear wave velocity structure of the crust and upper mantle in South China Sea and its surrounding regions by surface wave dispersion analysis. MARINE GEOPHYSICAL RESEARCHES 25 (1-2): 5-27. 50. Yang, J.H., Wu, F.Y., Chung, S.L., Wilde, S.A., Chu, M.F., Lo, C.H. and Song, B. (2005) Petrogenesis of Early Cretaceous intrusions in the Sulu ultrahigh-pressure orogenic belt, east China and their relationship to lithospheric thinning. Chemical Geology 222, 200-231. 51. Yang, J.H., S.-L. Chung, S.A. Wilde, F.Y. Wu, M.F. Chu, C.H. Lo, H.R. Fan (2006) Petrogenesis of post-orogenic syenites in the Sulu Orogenic Belt, east China: Geochronological, geochemical and Nd-Sr isotopic evidence – Reply. Chem. Geol., 235, 186-190. 52. de Jong, K., Xiao, W., Windley, B., Massago, H., and Lo, C.-H. (2006) Ordovician 40Ar/39Ar phengite ages from the blueschist-facies Ondor Sum subduction-acrretion complex (Inner Mongolia) and its implications for the early Paleozoic history of continental blocks in China and adjacent areas. Amer. J. Sci. 306 (12), 799-845. 53. Wang, F., Lo, C.-H., Li, Q, Yeh, MW, Wan, JL, Zheng, DW and Wang, EQ (2006) Onset timing of significant unroofing around Qaidam basin, northern Tibet, China: constraints from Ar-40/Ar-39 and FT thermochronology on granitoids (vol 24, pg 59, 2004). JOURNAL OF ASIAN EARTH SCIENCES, 27 (1): 146-146. 54. Wu, F.-Y., Yang, J.-H., Lo, C.-H., Wilde, S.A., Su, D.-Y. and Jahn, B.-m. (2007) The Heilongjiang Group: A Jurassic accretionary complex in the Jiamusi Massif at the western Pacific margin of northeastern China. Island Arc 16, 156-172. 55. Chan, G. H.-N., Malpas, J., Xenophontos, C. and Lo, C.-H. (2007) Timing of subduction zone metamorphism during the formation and emplacement of Troodos and Baer-Bassit ophiolites – insights from 40Ar-39Ar geochronology. Geological Magazine 144(5), 797-810. 56. Wang, F., Lu, X.-X., Lo, C.-H., Wu, F.-Y., He, H.-Y., Yang, L.-K., and Zhu, E.-X. (2007) Post-collisional, potassic monzonite-minette complex (Shahewan) in the Qinling Mountains (central China): 40Ar/39Ar thermochronology, petrogenesis, and implications for the dynamic setting of the Qinling orogen. Jour. Asian Earth Sciences 31, 153-166. 57. Yang, J.H., F.Y. Wu, C.H. Lo, S.-L. Chung, Y.B. Zhang, S.A. Wilde (2007) Rapid exhumation and cooling of the Liaonan metamorphic core complex: Inferences from 40Ar/39Ar thermochronology and implications for Late Mesozoic extension in eastern North China craton. Bull. Geol. Soc. Amer. 119, 1405-1414. 58. Huang, X.L., Xu, Y.G., Lo., C.H., Wang, R.C. and Lin, C.Y. (2007) Exsolution lamellae in a clinopyroxene megacryst aggregate from Cenozoic basalt, Leizhou Peninsula, South China: petrography and chemical evolution. CONTRIBUTIONS TO MINERALOGY AND PETROLOGY, 154 (6): 691-705. 59. Li, YL, Zhou, HW, Li, XH and Lo, C.-H. (Luo QingHua) (2007) Ar-40-Ar-39 plateau ages of biotite and amphibole from tonalite of Huangling granitoids and their cooling curve. ACTA PETROLOGICA SINICA, 23 (5): 1067-1074. 60. Hoa, T. T., Anh, T.T., Phuong, N.T., Dung, P.T., Anh, T.V., Izokh, A.E., Borisenko, A.S., Lan, C.Y., Chung, S.-L. and Lo, C.-H. (2008) Permo-Triassic intermediate-felsic magmatism of the Truong Son belt, eastern margin of Inodchina. Comptes Rendus Geosciences, 340, 112-126. 61. Chan, G., Malpas, J., Xenophontos, C., and Lo, C.-H. (2008) Magmatism associated with Gondwanaland rifting and Neo-Tethyan oceanic basin development: evidence from the Mamonia Complex, SW Cyprus. Jour. Geol. Soc. London 165; 699-709. 62. Wang, W.-L., Aitchison, J.C., Lo, C.-H. and Zeng, Q.-G. (2008) Geochemistry and geochronology of the amphibolite blocks in ophiolitic mélange along Bangong-Nujian Suture, central Tibet. Jour. Asian Earth Sci. 33, 122-138. 63. Wen, D.R., Liu, D, Chung, S.-L., Chu, M.-F., Ji, J., Zhang, Q., Song, B., Lee, T.-Y., Yeh, M.W., Lo, C.-H. (2008) Zircon SHRIMP U-Pb ages of the Gangdese Batholith and implications for Neotethyan subduction in southern Tibet. Chemical Geology 252, 191-201. 64. Liang, Y.-H., Chung, S.-L., Liu, D., Xu, Y., Wu, F.-Y., Yang, J.-H., Wang, Y., and Lo, C.-H. (2008) Detrital zircon evidence from Burma for reorganization of the eastern Himalayan river system. American Journal of Science 308, 618-638. 65. Isik, V., Lo, C.-H., Göncüoğlu, C., Demirel, S. (2008) 39Ar/40Ar ages from the Yozgat Batholith: Preliminary data on the timing of Late Cretaceous extension in the Central Anatolian Crystalline Complex, Turkey. Journal of Geology 116, 510–526. 66. Yang, J.H., Wu, F.Y., Chung, S.-L., Lo, C.-H. (2008) The extensional geodynamic setting of Early Cretaceous granitic intrusions in the Eastern North China Craton: evidence from laser ablation Ar-40/Ar-39 dating of K-bearing minerals. Acta Petrologica Sinica, 24, 1175-1184. 67. Yeh, M.-W., Lee, T.-Y., Lo, C.-H., Chung, S.-L., Lan, C.-Y. and Anh, T.T (2008) Structural Evolution of the Day Nui Con Voi Metamorphic Complex: Implications on the Development of the Red River Shear zone, Northern Vietnam. Journal of Structural Geology 30, 1540-1553. 68. Aitchison, J.C., Ali, J.R., Chan, A., Davis, A.M. and Lo, C.-H. (2009) Tectonic implcations of felsic tuffs within the Lower Miocene Gangrinboche conglomerates, southern Tibet. Journal Asian Earth Sciences 34, 287-297. 69. Lin, T.-H., Lo, C.-H., Chung, S.-L., Hsu, F.-J., Yeh, M.-W., Lee, T.-Y., Ji, J. and Wang, Y.-Z. (2009) 40Ar/39Ar Dating of Jiali and Gaoligong Shear Zones and Its tectonic Implications to Crustal Deformation around Eastern Himalaya Syntaxis. Jour. Asian Earth Sciences 34, 674-685. 70. Chan, G., Waters, D., Searle, M., Aitchison, J., Horstwood, M., Crowley, Q., Lo, C.-H. and Chan, J. (2009) Probing the basement of southern Tibet: evidence from crustal xenoliths entrained in a Miocene ultrapotassic dyke. Jour. Geol. Soc. London 166, 45-52. 71. Lin, T.-H., Lo, C.-H., Chung, S.-L., Yeh, M.-W., Lee, T.-Y., Lan, C.-Y. and Vuong, N.V. (2009) Indosinian Dextral Activity of the Dien Bien Phu Fault, NW Vietnam: Constraints from 40Ar-39Ar geochronology. Journal of Geology 117, 192-199. 72. Li, X.H., Li, W.X., Li, Z.X., Lo, C.H., Wang, J., Ye, M.F. and Yang, Y.H. (2009) Amalgamation between the Yangtze and Cathaysia Blocks in South China: Constraints from SHRIMP U-Pb zircon age, geochemistry and Nd-Hf isotopes of the Shuangxiwu volcanic rocks. Precambrain Research 174, 117-128. 73. Zhang, R.Y., Iisuka, Y., Ernst, W.G., Liou, J.G., Xu, Z.-Q., Tsujimori, T., Lo, C.-H., Jahn, B.-M, (2009) Metamorphic P-T conditions and thermal structure of Chinese Continental Scientific Drilling main hole ecolgites: Fe-Mg partitioning thermometer vs Zr in-rutile thermometer. Journal of Metamorphic Petrology 27, 757-772. 74. Lee, H.-Y., S.-L. Chung, C.-H. Lo, J. Ji, T.-Y. Lee, Q. Qian, Q. Zhang (2009) Eocene Neotethyan slab breakoff in southern Tibet inferred from the Linzizong volcanic record. Tectonophysics 477, 20-35. 75. Chung, S.-L., M.F. Chu, J. Ji, S.Y. O’Reilly, N.J. Pearson, D. Liu, T.-Y. Lee, C.-H. Lo (2009) The nature and timing of crustal thickening in southern Tibet: Geochemical and zircon Hf isotopic constraints from postcollisional adakites. Tectonophysics 477, 36 – 48. 76. Chan, G., Waters, D., Searle, M., Aitchison, J., Horstwood, M., Crowley, Q., Lo, C.-H. and Chan, J. (2009) Probing the basement of southern Tibet: evidence from crustal xenoliths entrained in a Miocene ultrapotassic dyke. Jour. Geol. Soc. London 166, 45-52. 77. Wenmenga, U., Kecir, M., Tapsoba, B. and Lo, C.-H. (2009) Magmatic affinity and geotectonic setting of post-Birimian doleritic dyke of Boussouma area (Burkina Faso, West-African Craton). Egyptian Journal of Geology 53, 101-114. 78. Searle, M., Chung, S.L. and Lo, C.H. (2010) Initiation age and geological offsets along the northern Dead Sea fault, Syria. Jour. Geol. Soc. London 167, 1001-1008. 79. Sulu UHP terrane, eastern China: evidence from petrological and geochemical studies of CCSD-Main Hole core samples. Chemical Geology 276, 69-87. 80. Lippert, P.C., Zhao, X.-X., Coe, R.S. and Lo, C.-H. (2011) Paleomagnetism and 40Ar/39Ar Geochronology of Upper Paleogene Volcanic Rocks from Central Tibet: Implications for the Central Asia Inclination Anomaly, the Paleolatitude of Tibet, and Post-50 Ma Shortening within Asia. Geophysical Journal International 184 (1), 131-161. 81. Searle, M., Chung, S.L. and Lo, C.H. (2011) Reply to discussion on “Initiation age and geological offsets along the northern Dead Sea fault, Syria”. Jour. Geol. Soc. London 168, 623-624. 82. Wang, P.-L., Lo, C.-H., Lan, C.-Y., Chung, S.-L., Lee, T.-Y., Nam, T. N., and Sano, Y. (2011) Thermochronology of the PoSen complex, northern Vietnam: Implications for tectonic evolution in SE Asia. Jour. Asian Earth Sci. 40(5), 1044-1055. 83. Ma, G. S.-K., Malpas, J., Xenophontos, C., Suzuki, K. and Lo, C.-H. (2011) Early Cretaceous volcanism of the Coastal Ranges, NW Syria: magma genesis and regional dynamics. Lithos 126, 290-306. 84. Wang, B., Jahn, B.-m., Lo, C.-H., Shu, L.-s., Wu, C.-Y., Li, K.-s., Wang, F. (2011) Structural analysis and 40Ar/39Ar thermochronology of Proterozoic rocks in Sailimu area (NW China): implication to polyphase tectonics of the North Tianshan. Jour. Asian Earth Sci. 42, 839-853. 85. Pang, K.-N., Chung, S.-L., Zarrinkoub, M.H., Mohammadi, S.S., Yang, H.-M., Chu, C.-H., Lee, H.-Y. and Lo, C.-H. (2012) Age geochemical characteristics and petrogenesis of Late Cenozoic intraplate alkali basalts in the Lut-Sistan region, eastern Iran. Chemical Geology 306-307, 40-53. 86. Zhang, R.Y., Liou, J.G., Sobolev, N,V., Shatsky, V.S., IIzuka, Y., Lo, C.-H. and Ogasawara, Y. (2012) Tale of the Kulet eclogite from the Kokchetav Massive, Kazakhstan: Initial tectonic setting and transition from amphibolite to eclogite. Jour. Metamorphic Geology 30, 537-559. 87. Li, Z.-X., Li, X.H., Chung, S.-L., Lo, C.-H., Xu, X. and Li, W.-X. (2012) Magmatic switch-on and switch-off along the South China continental margin since the Permian: transition from an Andean-type to Western Pacific-type plate boundary. Tectonophysics 532-535, 271-290. 88. Lee, H.-Y., S.-L. Chung, J. Ji, Q. Qian, S. Gallet, C.-H. Lo, T.-Y. Lee, Q. Zhang (2012) Geochemical and Sr-Nd isotopic constraints on the genesis of the Cenozoic Linzizong volcanic successions, southern Tibet. Jour. Asian Earth Sci. 53, 96-114. 89. Osozawa, S., Shinjo, R., Lo, C.-H., Jahn, B.-m., Hoang, N., Sasaki, Mi., Ishikawa, K., Kano, H., Hoshi, H., Xenophontos, C. and Wakabayashi, J. (2012) Geochemistry and geochronology of the Troodos ophiolite: an SSZ ophiolite generated by subduction initiation and an extended episode of ridge subduction. Lithosphere 4(6), 497-510. 90. Ghani, A. A. B., Lo, C.-H. and Chung, S.-L. (2013) Basaltic dykes of the Eastern Belt of Peninsular Malaysia: Implication to the crustal thickness of Sibumasu and Indochina blocks. Journal of Asian Earth Sciences 77, 127-139. 91. Ma, G. S.-K., Malpas, J., Lo, C.-H., Wang, K.-L., Iizuka, Y., and Xenophontos, C. (2013) Evolution and origin of the Miocene intraplate basalts on the Aleppo Plateau, NW Syria. Chemical Geology 335, 149-171. 92. Pang,K.-N., Chung,S.-L., Zarrinkoub, M.H., Khatib, M.M., Mohammadi, S.S., Chiu, H.-Y., Chu, C.-H., Lee, H.-Y., Lo, C.-H. (2013) Eocene-Oligocene post-collisional magmatism in the Lut-Sistan region, eastern Iran: Magma genesis and tectonic implications. Lithos vol. 180-181, 234-251. 93. Pang, K.N., Chung, S.-L., Zarrinkoub, M.H., Lin, Y.-C., Lee, H.-Y., Lo, C.-H. and Khatib, M.M. (2013) Iranian ultrapotassic volcanism at ~11 Ma signifies the initiation of post-collisional magmatism in the Arabia-Eurasian collision. Terra Nova 25, 405-413. 94. Tapsoba, B., Lo, C.-H., Jahn, B.-m. and Chung, S.-L. (2013) Chemical and Sr-Nd isotopic compositions and zircon U-Pb ages of the Birimian granitoids from NE Burkina Faso, West African Craton: implications on the geodynamic setting and crustal evolution. Precambrian Research 224, 364-396. 95. Tapsoba, B., Lo, C.-H., Wenmenga, U., Jahn, B.-m., Chung, S.-L. (2013) 40Ar/39Ar thermochronology of Paleoprotozoic granitoids of northeast Burkina Faso, West African Craton: Implications for Regional Tectonics. Precambrian Research 235, 208-229. 96. Zhang, R.Y., Lo, C-H., Chung, S-L., Grove, M., Iizuka, Y., Omori, S., Liou, J.G. & Tri, T. V. (2013) Origin and tectonic implication of ophiolite and eclogite in the Song Ma suture zone between the South China and Indochina blocks. Journal of Metamorphic Geology 31, 49-62. 97. Zhao, X.-M., Zhang, H., Su, F., Hu, Z.H., Lo, C.H., Wang, Y., Yang, S. and Guo, J.H. (2013) Phlogopite Ar-40/Ar-39 geochronology of mantle xenoliths from the North China Craton: constraints on the eruption ages of Cenozoic basalts. Gondwana Research 23(1), 208-219. 98. Flower, M.F.J., Hoang, N., Lo, C.-H., Chi, C.T., Cuong, N.Q., Liu, F., Deng, J., Mo, X. (2013) Potassic magma genesis and the Ailao Shan-Red River fault. Journal of Geodynamics 69, 84-105. 99. Walia, M., Yang, T.F., Knittel, U., Liu, T.-K., Lo, C.-H., Chung, S.-L., Teng, L.S., Dimalanta, C.B., Yumul, G.B. and Yuan, W.M. (2013) Cenozoic tectonics in the Buruanga Peninsula, Panay Island, Central Philippines, as constrained by U/Pb, 40Ar/39Ar and fission track thermochronometers. Tectonophysics582, 205-220. 100. Tich, V.V., Leyreloup, Leyreloup, A., Maluski, H., Lepvrier, C., Lo, C.-H., Vuong, N.V. (2013) Metamorphic evolution of politic-semipelitic granulites in the Kon Tum Massif (south-central Vietnam). Journal of Geodynamics 69, 148-164. 101. Zhang, R.Y., Lo, C.-H., Li, X., Chung, S.-L., Anh, T.T. and Tri, T.V. (2014) U-Pb dating and tectonic implication of ophiolite and metabasite from the Song Ma Suture Zone, Northern Vietnam. American Journal of Science 314, 649–678. 103. Yeh, M.-W., Wintsch, R.P., Liu, T.-C., Lo, C.-H., Chung, S.-L., Lin, Y.-L., Lee, T.-Y., Wang, Y.-C., and Stokes, M.R. (2014) Evicence for cool extrusion of the north Indochina block along the Ailao Shan – Red River Shear Zone, a Diancan Shan prospective. Journal of Geology 122, 567-589. 104. Shellnutt, J., Lee, T.-Y., Yang, C.-C., Hu, S.-T., Wu, J.-C., Wang, K.-L. and Lo, C.-H. (2015) Late Permian mafic rocks identified within the Doba basin of southern Chad and their relationship to the boundary of the Saharan Metacraton. Geological Magazine 152, 1073-1084. Lo, C.H. and Teng, L.S. (1995) Recent studies on the Dabie-Sulu ultra-high pressure metamorphic belts. Natural Sciences Newsletter, NSC, vol. 7, pp.60-63. Lo, C.H., Chang, W.-Y. and Tsai, Y.-B. 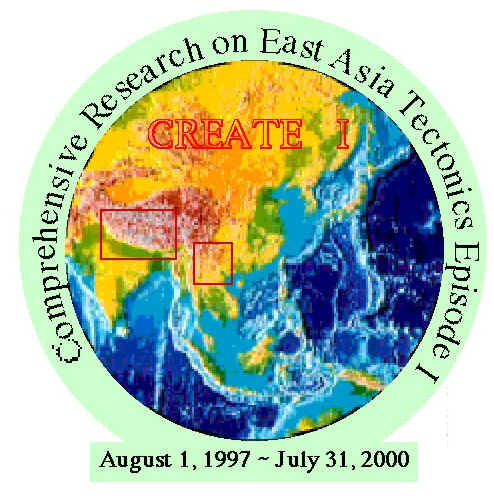 (1997) Organization and Progress on the NSC integrated project: CREATE 1 - Cenozoic collision/extrusion tectonics in East Asia. National Science Council Monthly, 25(9), 639-643. Lo, C.H. and Chung, S.-L. (1997) Lithosphere evolution of southeast China (eds. ), Jour. Geol. Soc. China, vol. 40, no. 3. Chung, S.L., C.S., Lee, J.-C. Sibuet, R. Shinjo, T.Y. Lee, S.K. Hsu, C.S. Liu, C.T. Shyu, M.P. Chen, C.H. Lo, K.L. Wang and A.J. Crawford (1998) Understanding the initiation of a continental arc-backarc system and its interaction with Taiwan arc-continent collision by drilling the southernmost part of Okinawa Trough (SPOT). Letter of Intent (Preliminary Proposal) to the International ODP-JOIDES scientific committees. Flower, M.F., Chung, S.-L., Lo, C.H. and Lee, T.-Y. (1998) Mantle Dynamics and Plate Interactions in East Asia (eds.) American Geophysics Union, Geodynamic Series. Vol. 27. Chung, S.-L., Lo, C.-H. and T.-Y. Lee (1999) Uplift of Tibetan Plateau and global climate change: exploring the impacts of tectonic evolution on the change of global environment. Natural Sciences Newsletter, NSC, vol. 11, No. 3, 90-92. Lo, C.-H. and Knittel, U. (2000) Lithosphere Dynamics and Natural Resources in East Indochina and adjacent areas (eds.) Journal of Asian Earth Sciences, vol. 18, no. 3. Lo, C.-H., Yang, J., Yang, H.-Y. and Knittel, U. (2006) Tectonic evolution of the Central Mountains Belt, China (eds.) Journal of Asian Earth Sciences Vol. 28, Issue 2-3.